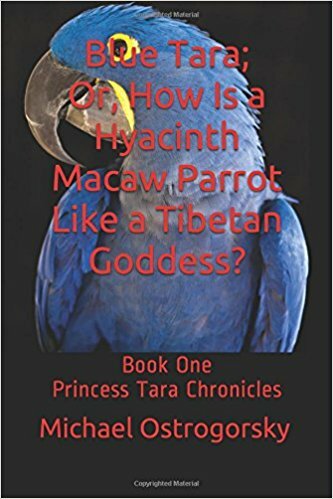 Princess Tara is pleased to announce the Third Edition of Book One of the Princess Tara Chronicles, Part One of the Blue Tara Trilogy, Blue Tara; Or, How Is a Hyacinth Macaw Parrot Like a Tibetan Goddess? Bigger and Better Than Ever! Book One of the Princess Tara Chronicles opened a doorway to a mysterious world of parrots and witches, pterodactyls and zombies, magic and monsters, hiding in plain sight on the streets of Seattle. Now available in a dead tree edition from Amazon. I originally got a parrot because an old black guy with parrots convinced me it would help me pick up chicks. And I don't mean the poultry kind. Picked out a parrot at this old black guy's bird store here in Seattle that was big, blue, and loud. And a princess. The loudness I didn't learn about until it was too late. But that was the least of my problems. First of all, turns out I didn't actually pick out the parrot. The parrot picked me. Not only was the parrot big, blue, and loud. And a princess. The parrot was a witch. Not a figurative or allegorical witch. A literal witch. A witch of the spell casting kind. The abracadabra kind. A witch with a coffee addiction, and a penchant for pizza and beer. Once I entered the bird store the parrot cast a spell. 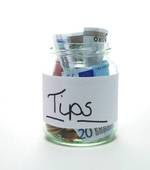 The kind of spell that caused me to clean out my bank account for a big, loud, blue-feathered witch. The kind of witch that did not abide with girlfriends. The kind of witch that did not abide with not getting her way. The kind of witch that turned out to be my guardian angel and the proverbial albatross around my neck at the same time. A witch named Princess Tara. Parrots: Don't Breed! Don't Buy! ADOPT! Happy Christmas & Merry New Year!